I am so pumped for the month of September!!! 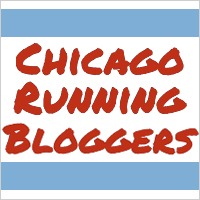 It will be my daughter's 1st birthday, and the Insane Inflatable 5K is coming to Illinois! Have you ever seen those kiddie inflatable slides and bouncy houses at a birthday party, or at an indoor play place? I'm sure you most likely have. I have always been super jealous because usually those things are for kids and adults who are on the lighter side of the scale. Insane Inflatable 5K is an inflatable obstacle course. There is no weight limit! FINALLY, a bouncy paradise full of crazy fun for adults of any size! Let's not forget about the kiddies! There is no minimum age requirement, however they need to be at least 42" tall by event day to participate. The event isn't timed, so you can enjoy the course without rushing through it for the fastest time. The course is approximately 3.1 miles (5k). They have added new obstacles for 2015! You can see the entire course layout in the video below! The race I am taking part in is the DeKalb, IL location. It will be held at NIU in DeKalb, IL on September 19th. This will be my first year at the Insane Inflatable 5k and I am crazy excited! I'm in for a crazy good time full of crazy insane moments, possibly some embarrassment (all in fun), and laughter at the Insane Inflatable 5K!! Wanna have some crazy fun? Is the Insane Inflatable 5K bouncing to a city near you? Enter code: HUFF10 during the registration process for 10% off of your entry fee. Would love to have a meet up! No problem! I always love finding a new race I have never heard of!